In the beginning, these students were learning how to hold a comb. 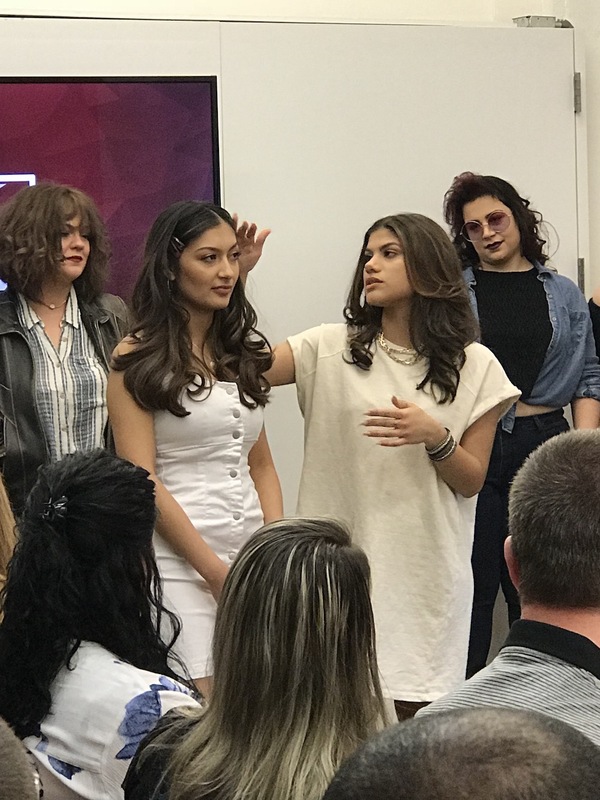 Now they can take the skills of hairdressing and use them to create cuts, colors, and styles that depict a chosen era or theme, while making their models look and feel like a million bucks. See a few more images from the Graduation Presentations Below. If you want to become a hair stylist or barber, we offer award-winning currcula in the heart of NYC. For info, please email madeleine@arrojonyc.com . All graduates present their model to the group. It’s great practice for life as a stylist! Explaining the creative process –– it is what hair stylists do!